With the frequency of traffic updates that we've been seeing related to the I-35W corridor, ONA has added a 'widget' to our homepage that displays the North Tarrant Express feed on Twitter. Scroll down the left side of our page to check it out! You may also follow @NTExpress on Twitter if you'd like to receive these updates directly. 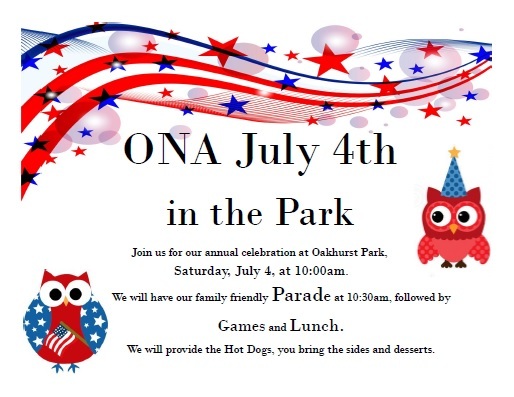 ONA Newsletter Receives Recognition from NUSA (Again)! For the third time, ONA's Oak Leaflet has received national recognition from Neighborhoods USA, placing 3rd in NUSA's annual Neighborhood Newsletter Competition! 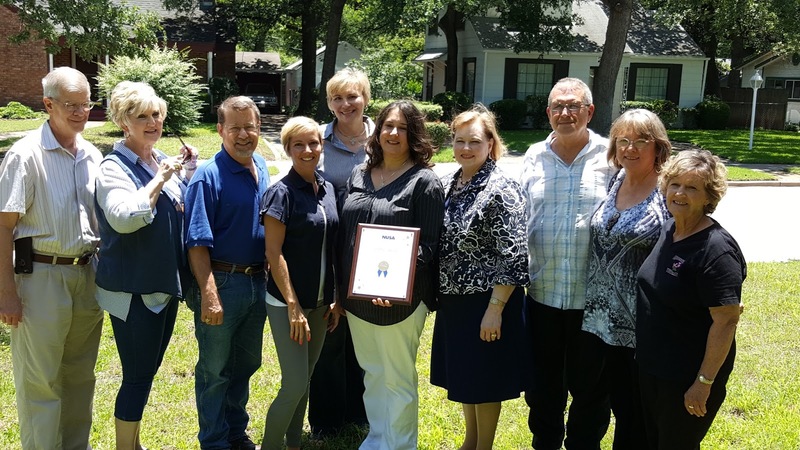 The award was presented at this year's annual NUSA conference, held May 20-23 in Houston, TX. Printers Larry and Arlene Brown (Instant Reproductions), and Fran Burns. 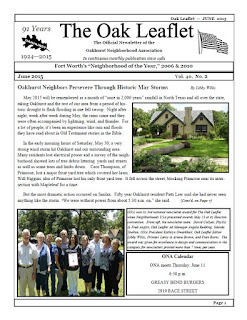 The award reads, "Neighborhoods USA Neighborhood Newsletter Competition, Print Category, 7 or more issues annually, Oakhurst Neighborhood Association, in recognition of excellence in newsletter design and communication for their publication, THE OAK LEAFLET, May 23, 2015." Libby Willis has been authoring and editing the Oak Leaflet for almost ten years now, with regular contributions from a small army of fellow Oakhurst residents (those pictured above, as well as past presidents and officers). Ad Manager Angela Redding and printers Arlene and Larry Brown have also put in a great deal of time over the years to see the Oak Leaflet published. Thank you and congratulations to all! Visit the newsletter archive on ONA's website to view past issues of the Oak Leaflet online.